In the case of a loan agreement or any other agreement, sometimes there are provisions giving immunity to the borrower or the employer giving immunity from certain unavoidable accidental circumstances. If it is proven that the cause is genuine and nothing is manipulated in the claim, then the loan or the responsibility of the occurrence is partially or completely waived off. 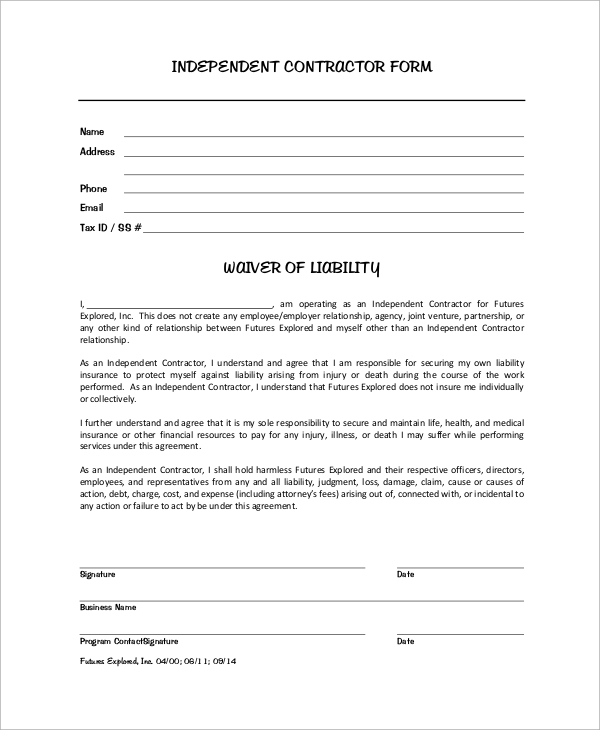 However the process nonetheless complex and our sample liability waiver form samples expertly guides you through the entire process, how an ideal liability waiver form should be. 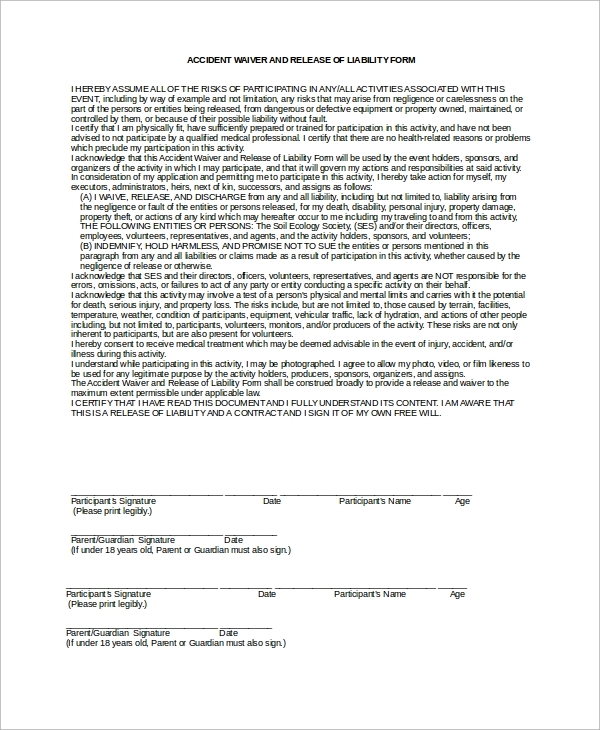 This agreement form contains a reference to risks and accidents which a participant is exposed to in a physical activity event. And if any such accident occurs, then the organizers cannot be held responsible at any cost by law. 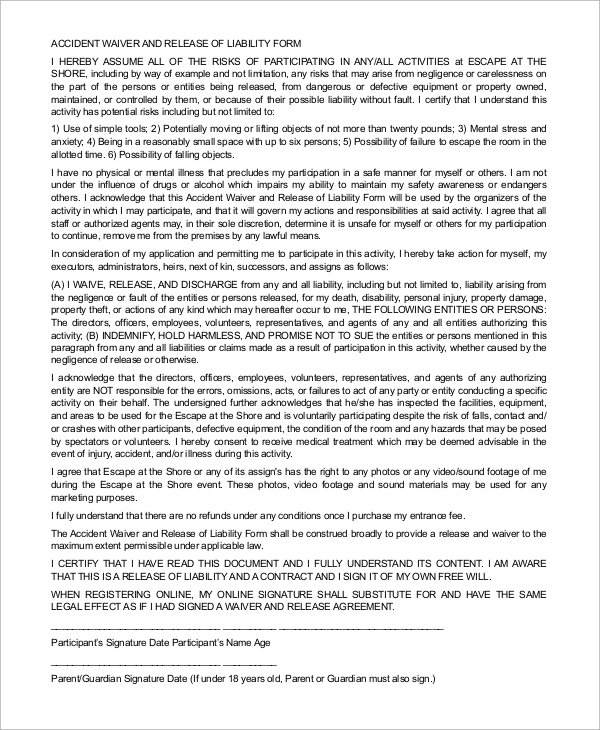 This agreement form contains a reference to risks and accidents which a participant is exposed to in a sports activity event.And if any such accident occurs then the organizers cannot be held responsible at any cost by law. 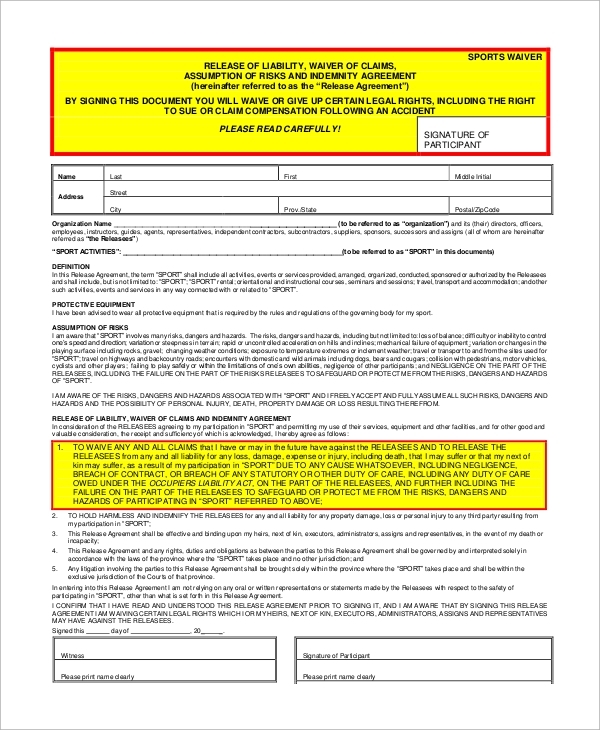 You can also see lien waiver forms. An accident is a very unfortunate occurrence that can happen anywhere and everywhere.If your job is to organize any event which deals with a lot of people and involves the risk of physical damage on their part, then it should be your primary task to safeguard your rights and interests. Why should you take responsibility for someone injured due to his/her utter negligence? Where taking responsibility means doing away with almost all yours life’s savings and reputation, along with emotionally draining and degrading legal and law enforcement procedures. Our aim is only to elucidate the complex procedures to you, for your benefit. 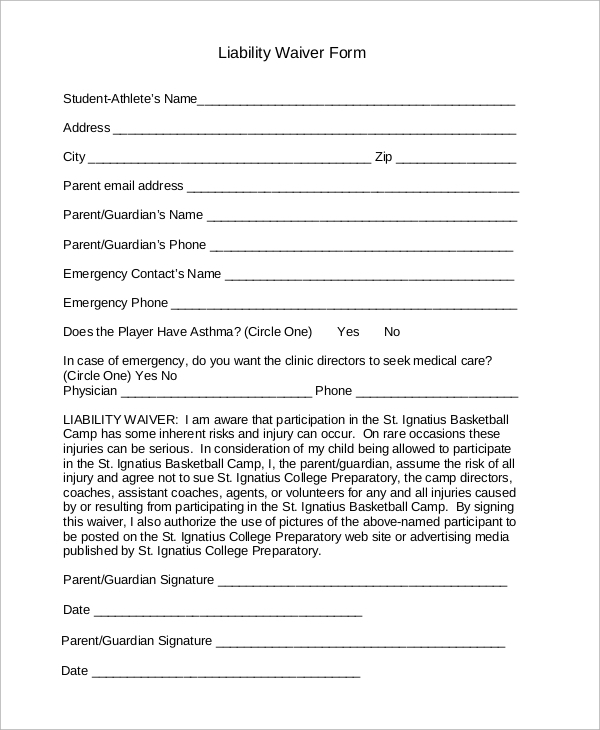 The sample liability waiver forms effectively give you immunity from all such claims. 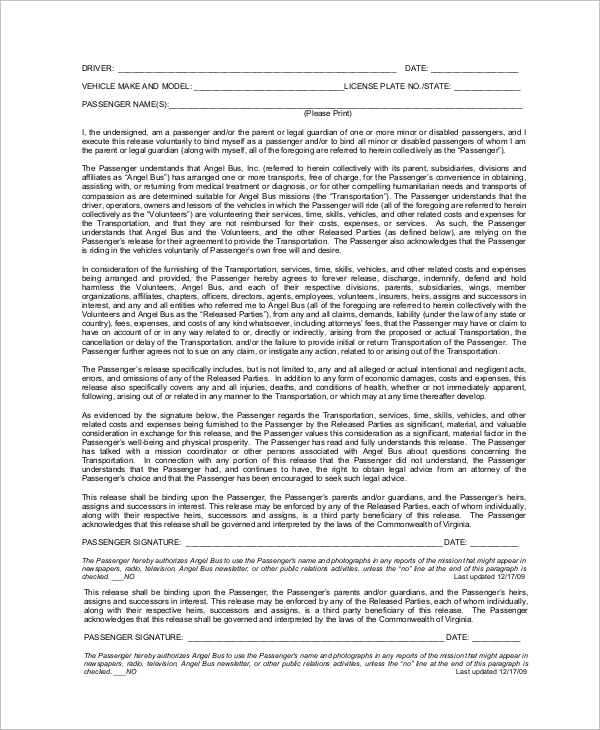 This agreement ensures that if any passenger of transport is injured in an accident, due to any unavoidable circumstance within the carriage, then the owner authority is not held responsible by law. 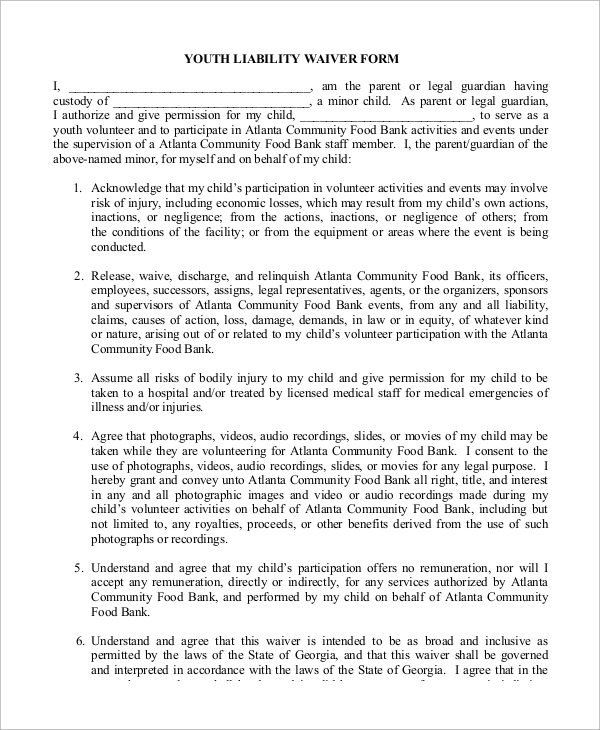 You can also see the Liability Release Forms. Each and every one of us takes the shelter of liability waiver samples schemes once or twice if not more in their lifetime. 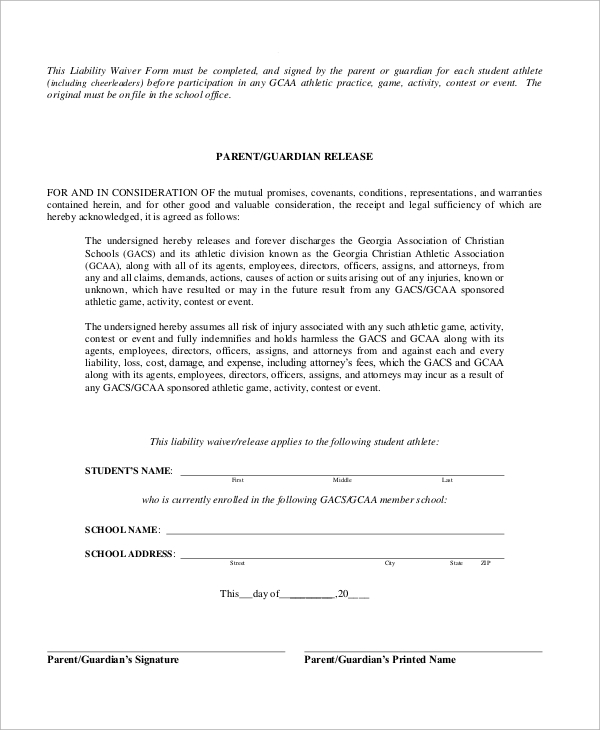 The schemes are targeted especially towards organizations employing people to work in any physically challenging job or organizing an event related to physical activities. Sometimes or the other, we face situations where there is no fault on our part, yet still we are held responsible. 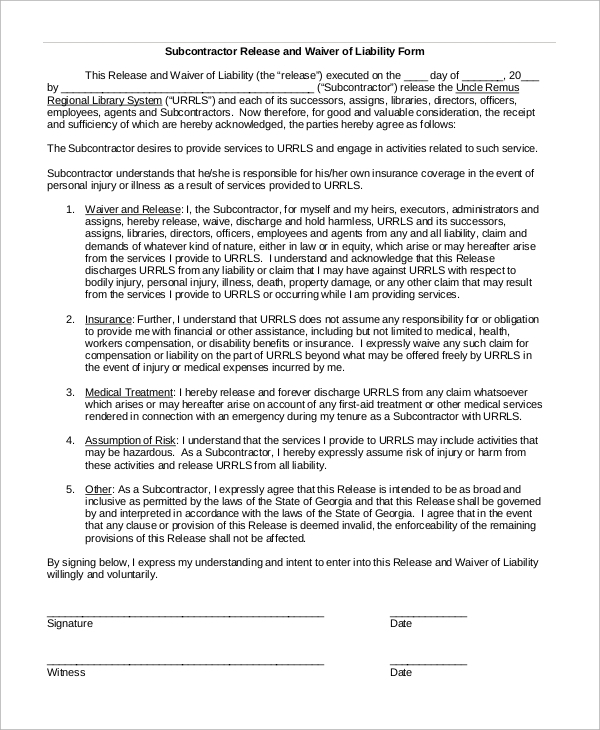 In order to come out of that sticky situation if it arises any time, a waiver of liability scheme is essentially your tool for survival. 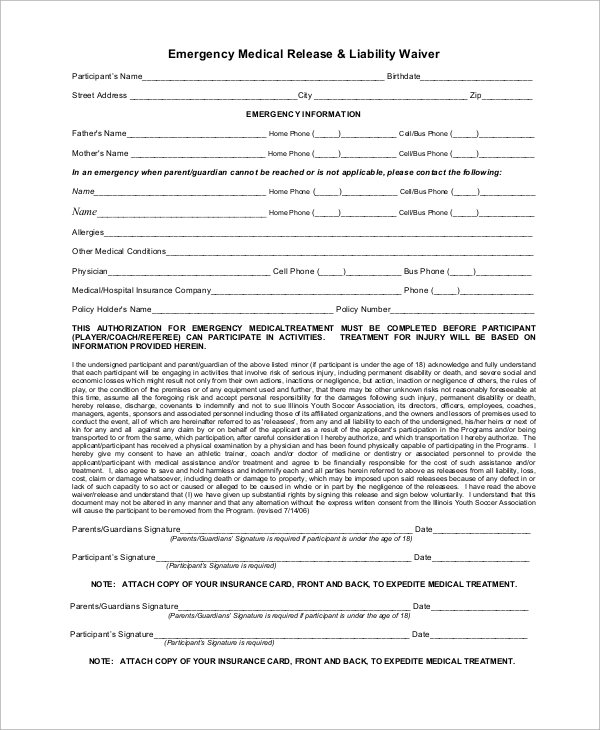 Our sample form templates ensure your complete safety and security.